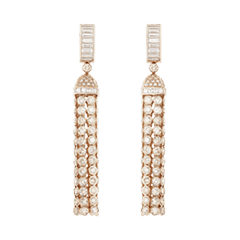 Inspired by the beauty of Place Vendôme’s cobblestones, the Clou de Paris collection reveals the Maison’s love for Paris. 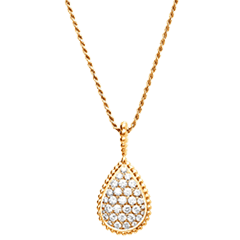 Whether combined to the diamond radiance or standing alone, the gold and platinum become a sculpture, symbol of free love. The Clou de Paris wedding band is adorned with a motif that evokes the cobble stones of the Place Vendôme and pays homage to the unique link between two people in love. 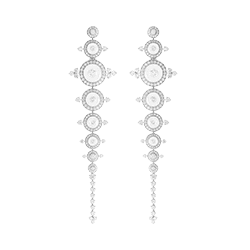 The remarkable engraving work allows the jewel to reflect the light with the most perfect sparkle. 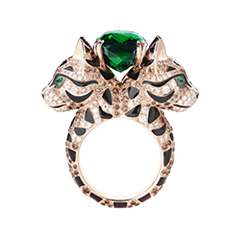 A dazzling ring created to symbolize the joy of marriage. An emblematic code of the Maison Boucheron, the Clou de Paris motif adorns this wedding band to celebrate the most beautiful love stories. 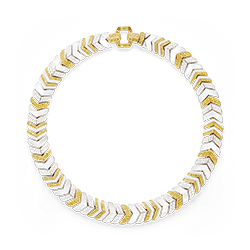 The engraver and the jeweler work on the gold to give it a magical sparkle by sculpting the very graphic motif with great skill. This ring’s perfect radiance will accompany the wedded couple all of their lives. 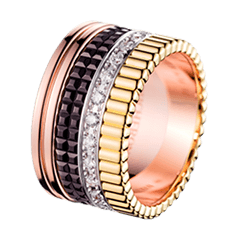 Clou de Paris, an iconic motif of the Maison Boucheron, adorns this wedding band and evokes the cobblestones of the Place Vendôme and Paris, the city of light and romance. Thanks to a complex technique requiring great expertise, the gold of the jewel is engraved with a signature motif for a stunning style that catches the light. Like an ode, the luminous sparkle of this wedding band pays tribute to everlasting love. 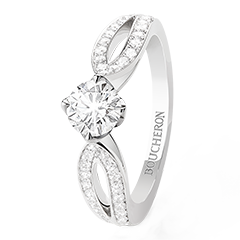 The Clou de Paris solitaire combines an emblematic motif of the Maison Boucheron with the sparkle of the diamond, symbol of eternal love. The engraver sculpts the platinum with extreme precision, giving the jewel a harmonious aspect made up of angles and facets. A precious ring to seal the fiancés’ pledge of everlasting commitment. A strong motif often used by the Maison Boucheron, the Clou de Paris adorns this solitaire to symbolize the beauty of the promise that binds two fiancés. The Clou de Paris motif reflects the light thanks to the skilful sculpture of gold, while the diamond shines at its brightest. 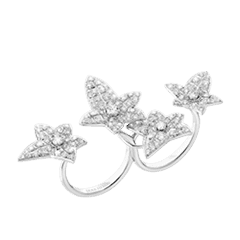 A dazzling ring to beautifully enhance the hand and represent an eternal pledge of love. The Clou de Paris motif on this thin wedding band evokes the cobblestones of the Place Vendôme, where the Maison Boucheron is witness to the most beautiful love stories. 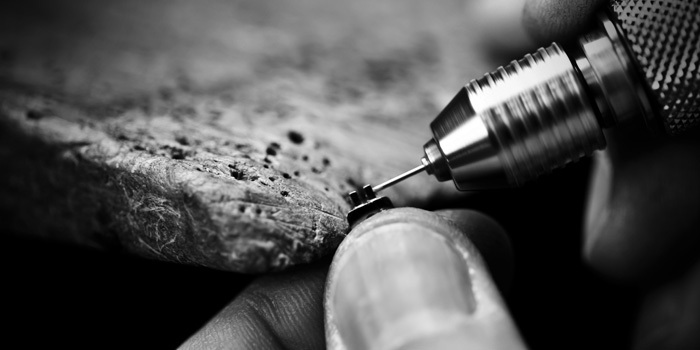 Thanks to his meticulous work, the engraver sculpts the piece so as to give it the exceptional sparkle of a precious gem. The motif adorning this graphic ring appeals through its strength, offering the perfect wedding band for an everlasting promise. An emblematic code of the Maison Boucheron, the Clou de Paris motif adorns this thin wedding band to celebrate the most beautiful love stories. This ring’s perfect radiance will accompany the wedded couple throughout their lives. 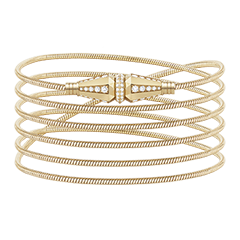 Clou de Paris, an iconic motif of the Maison Boucheron, adorns this thin wedding band and evokes the cobblestones of the Place Vendôme and Paris, the city of light and romance.